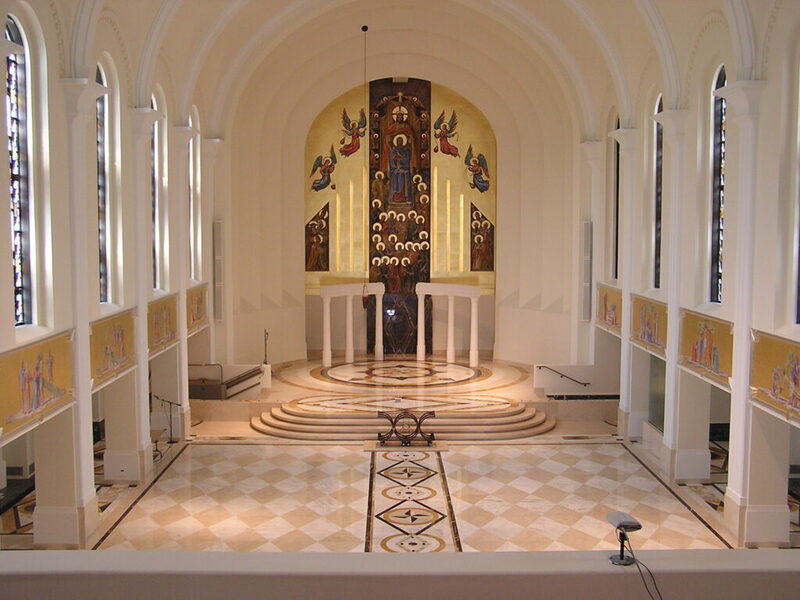 Daprato Rigali employees restored the interior of this beautiful Chapel using many different restoration and fine arts techniques. 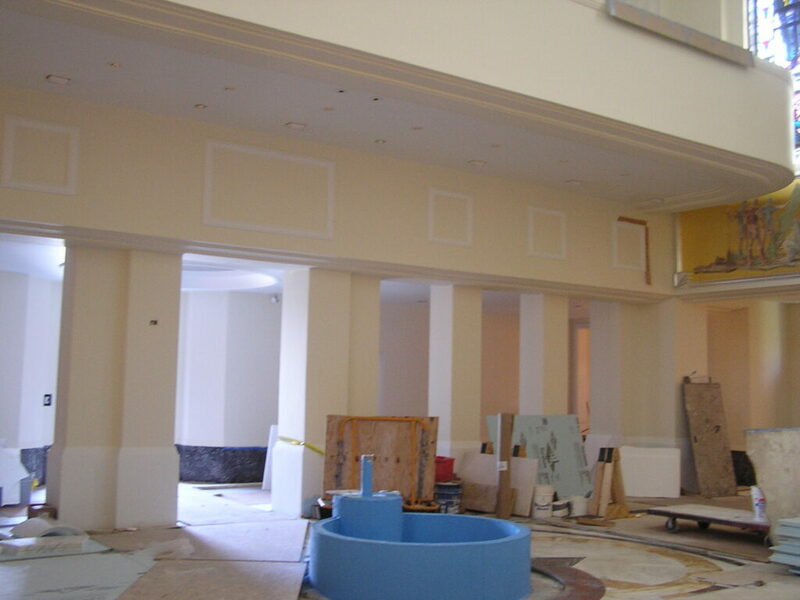 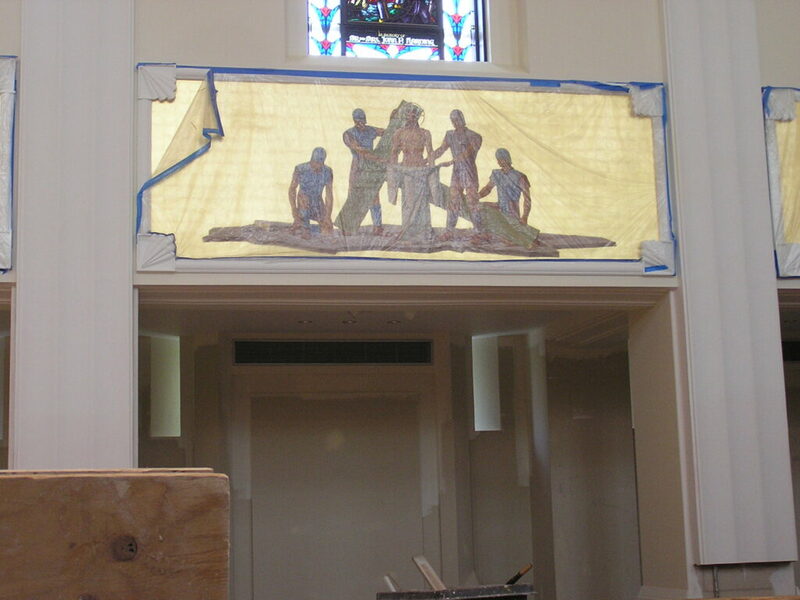 Much of the plaster work had to be re-cast and installed. 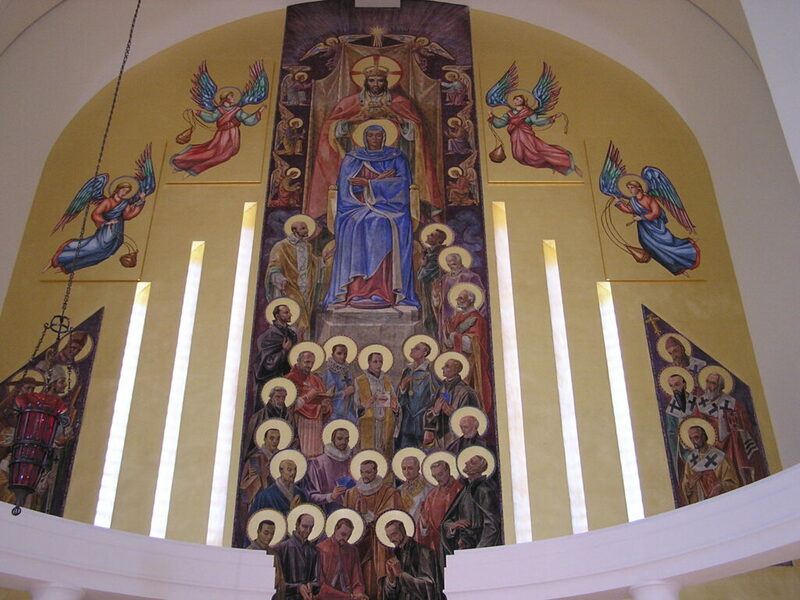 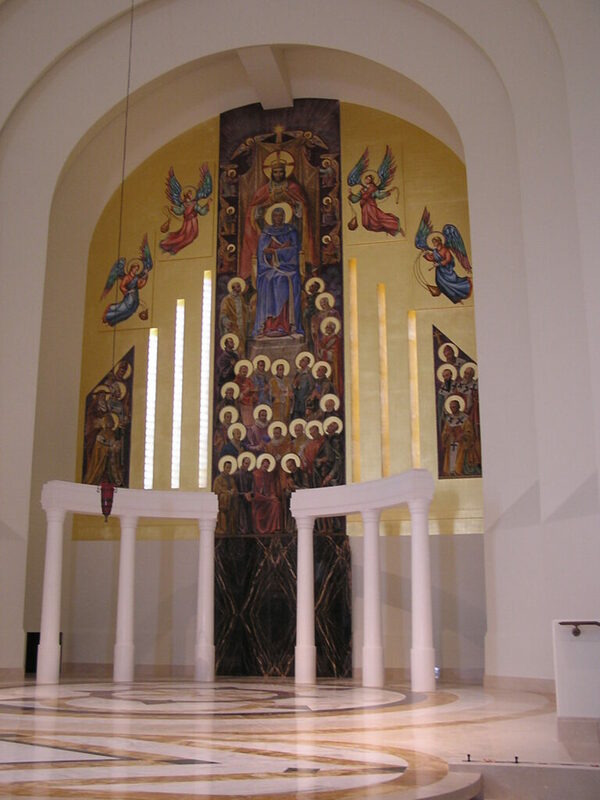 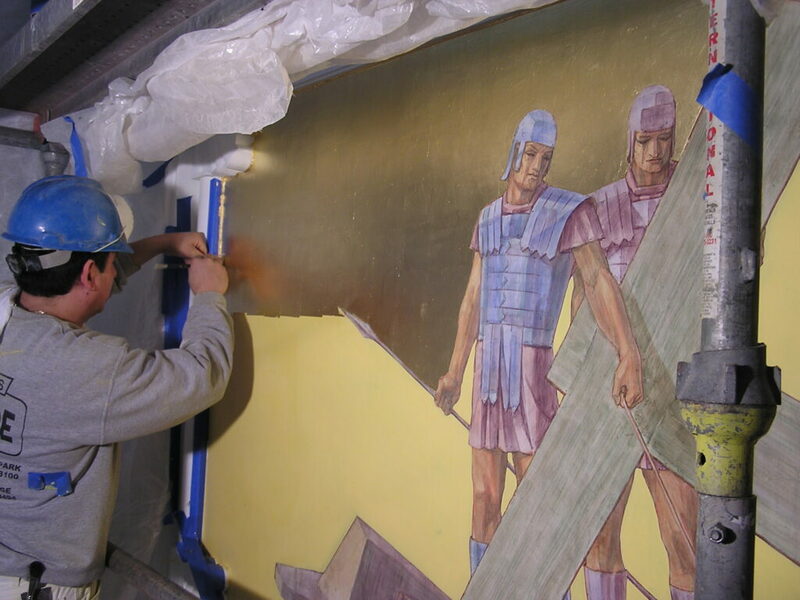 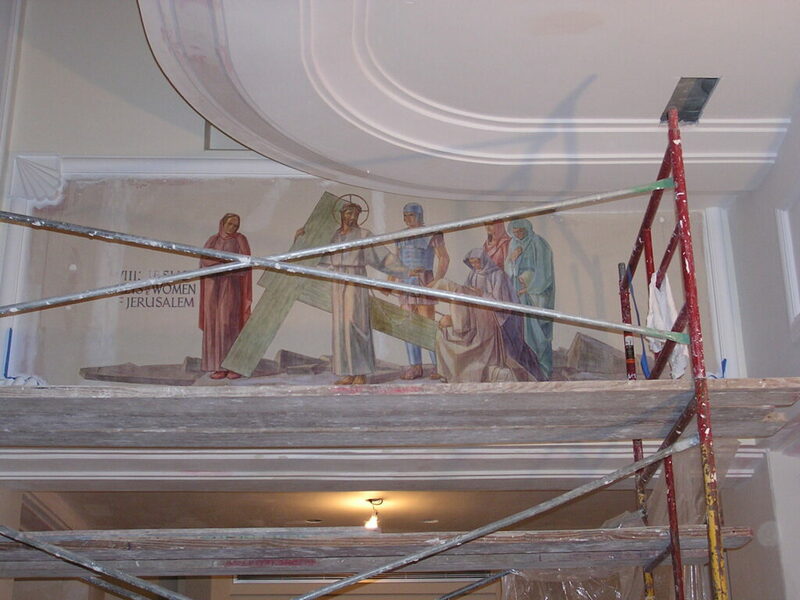 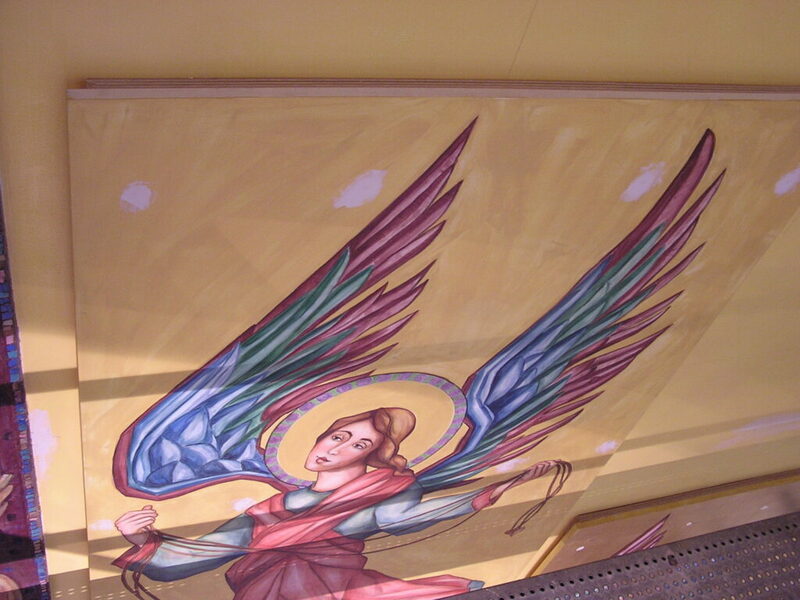 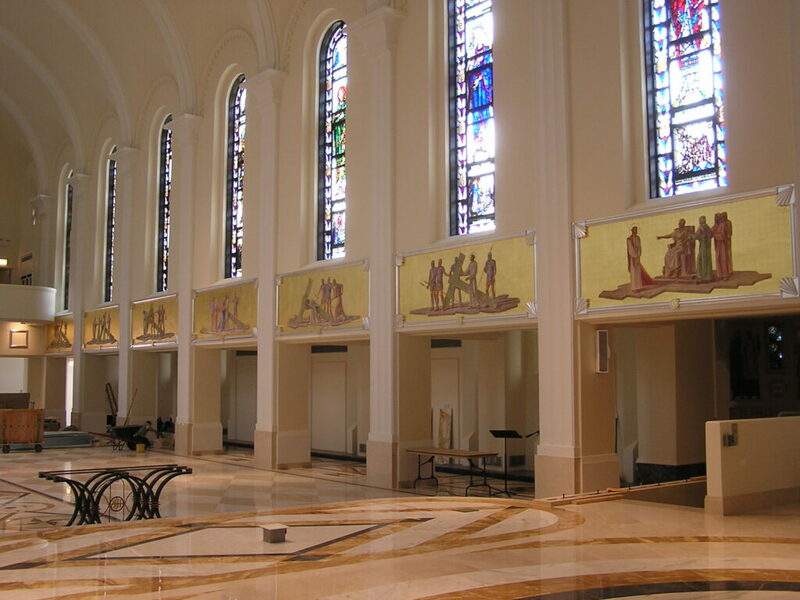 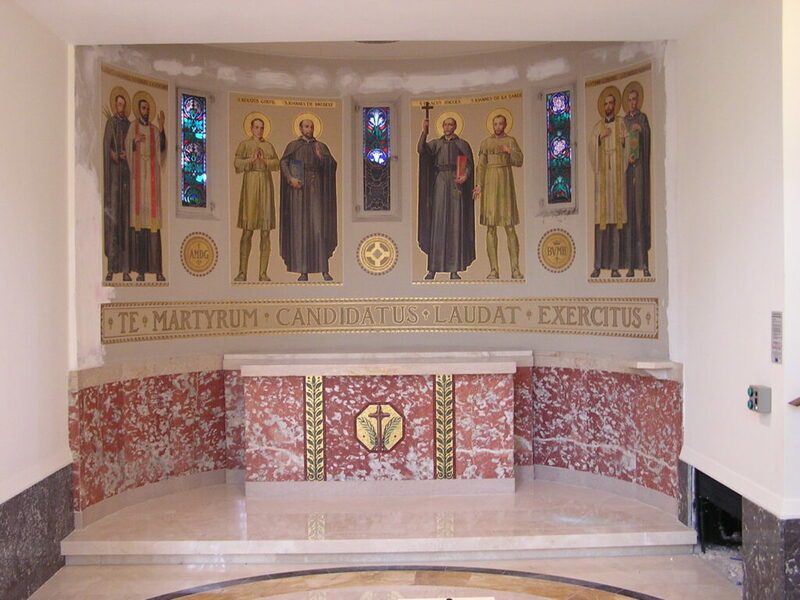 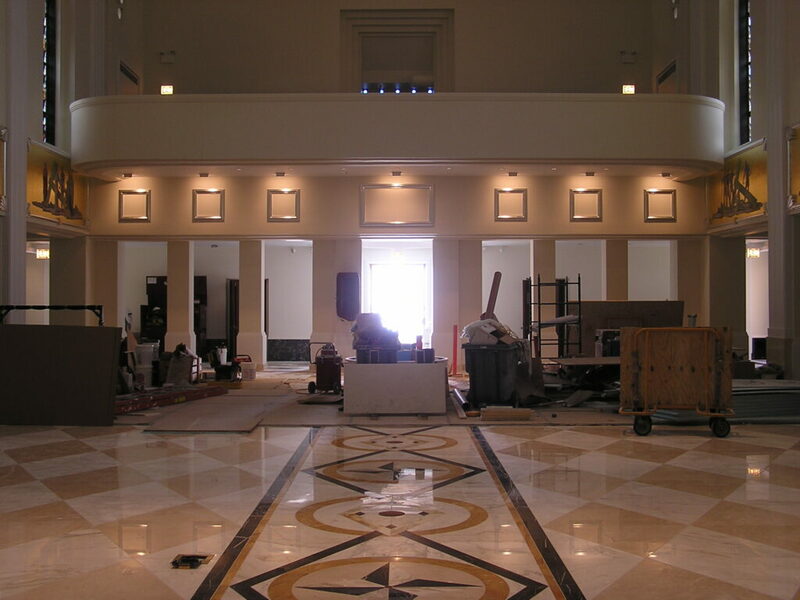 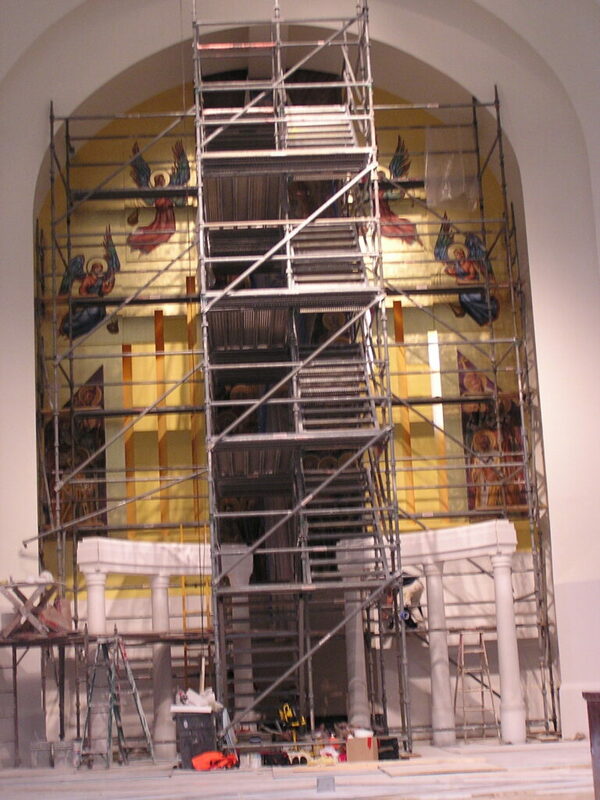 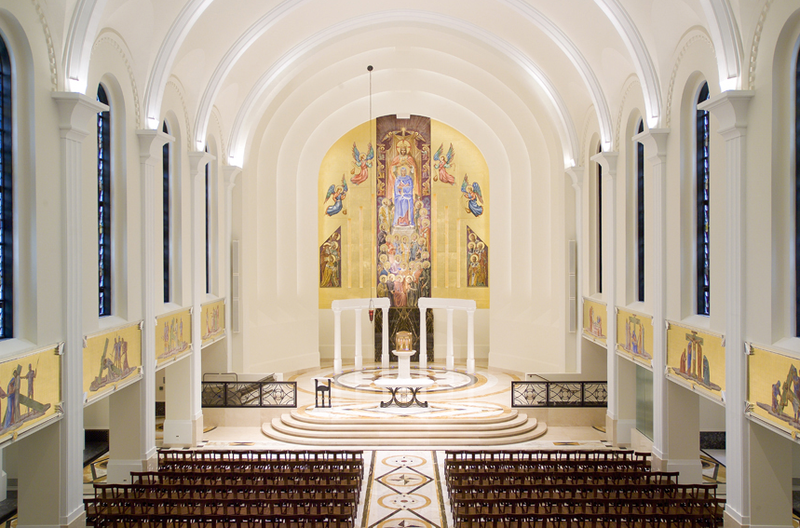 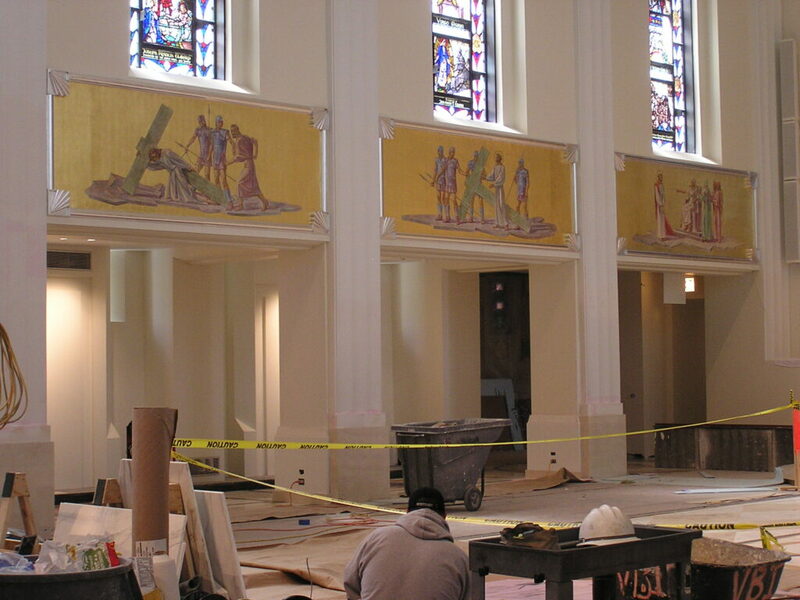 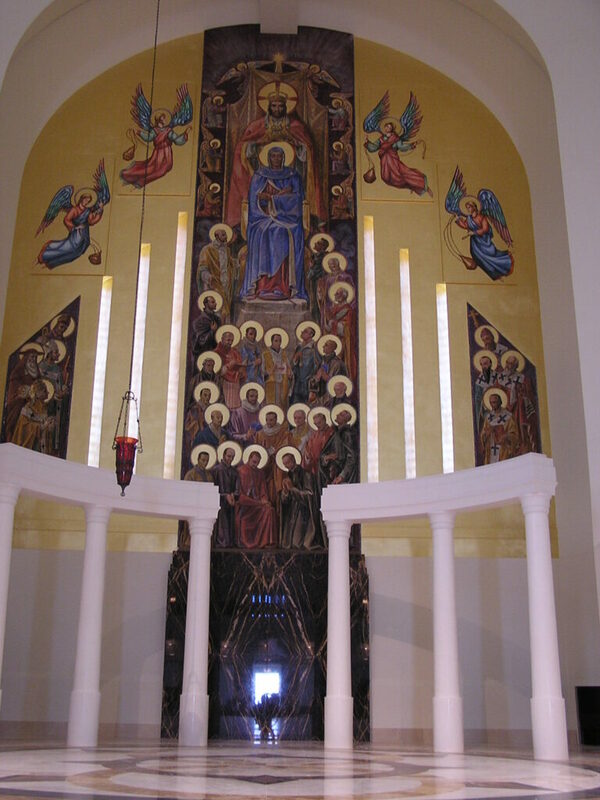 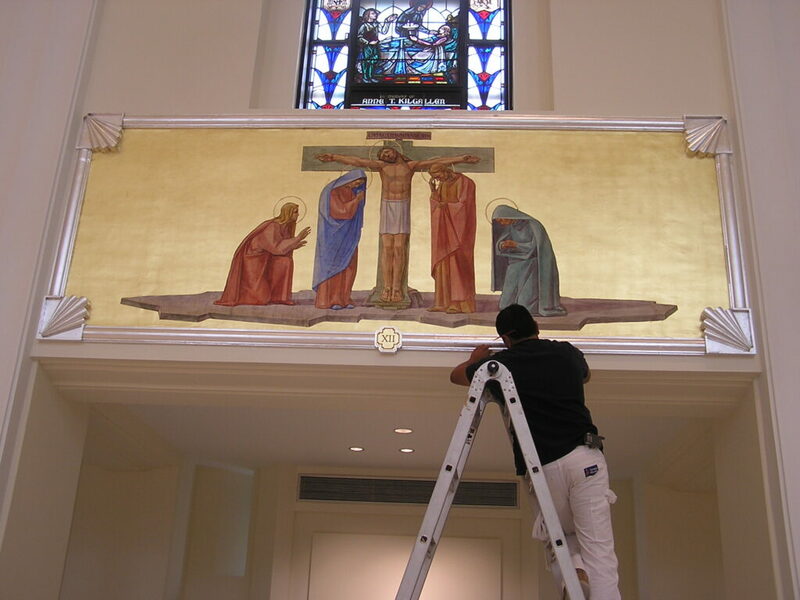 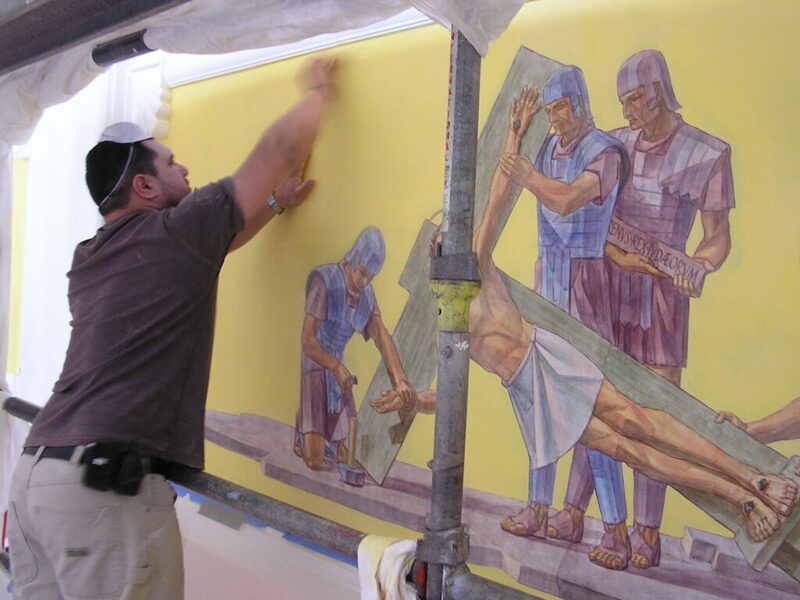 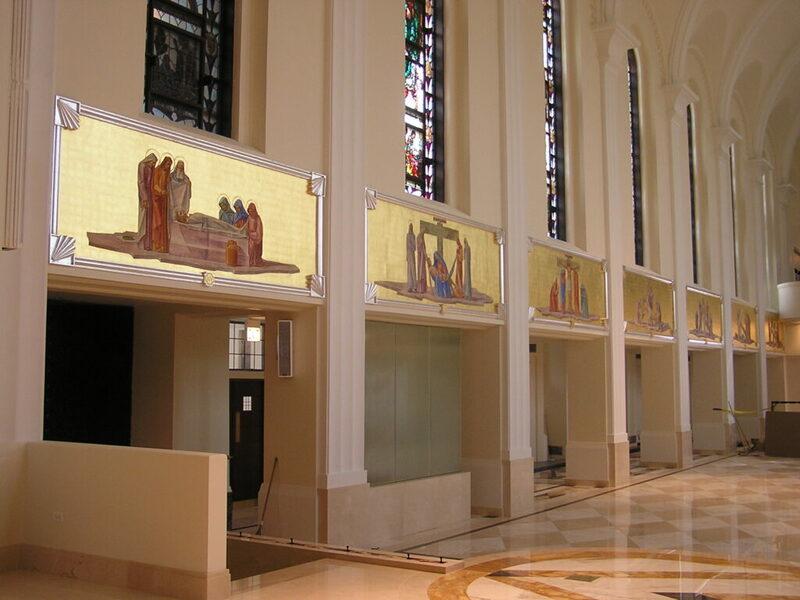 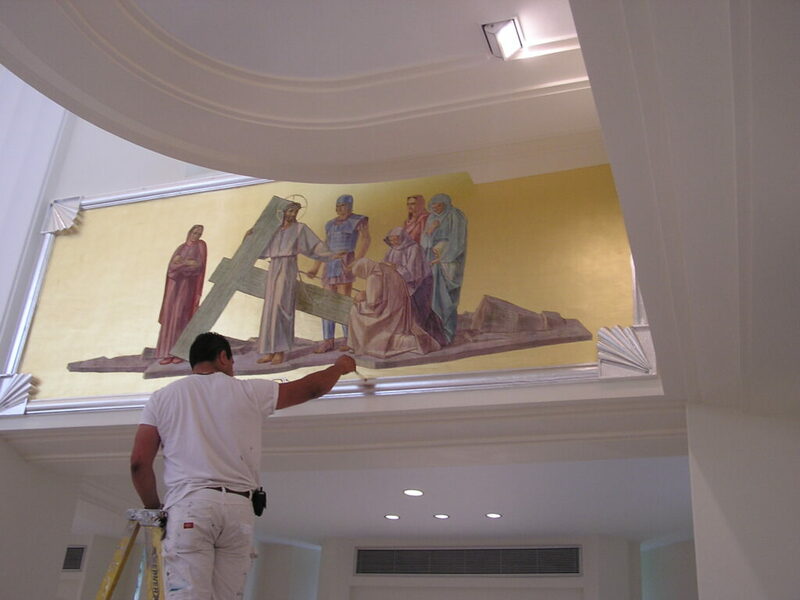 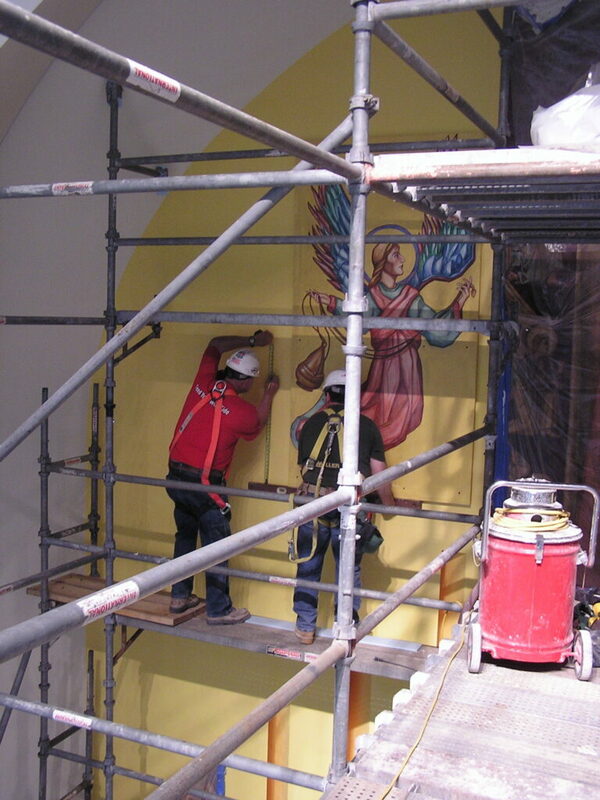 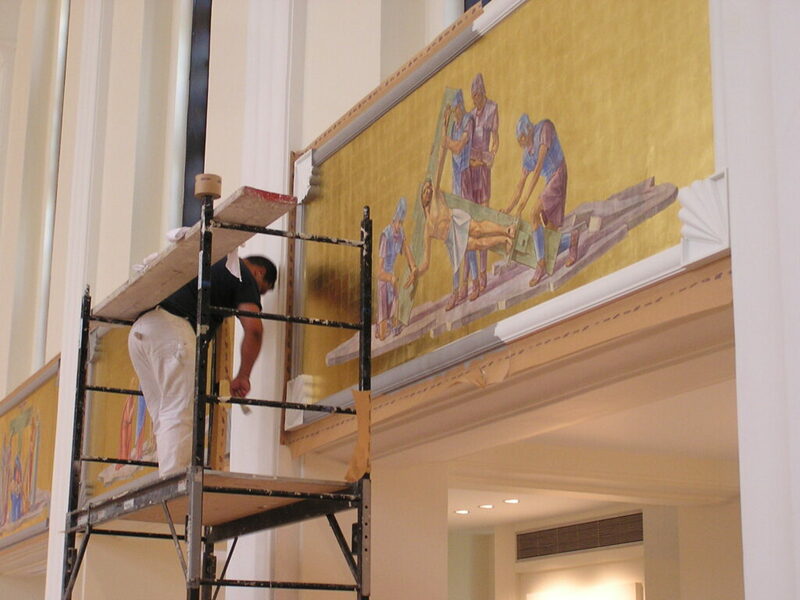 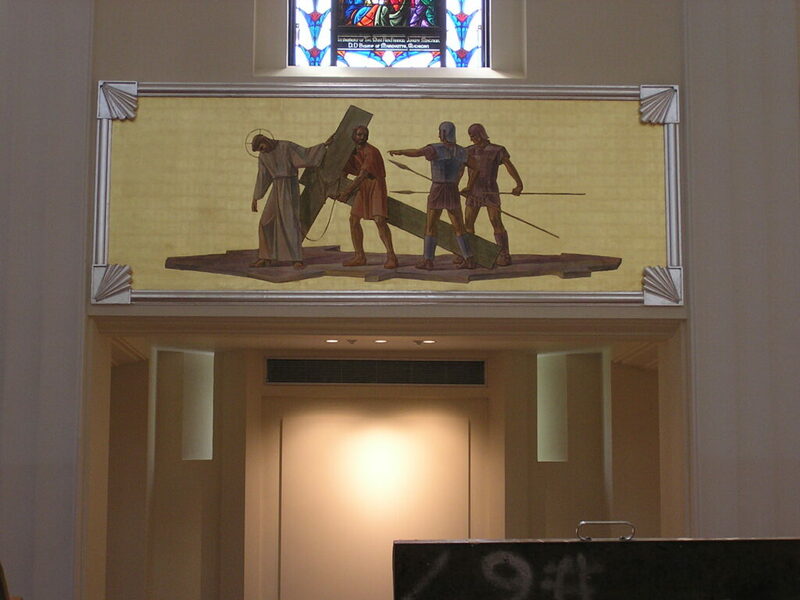 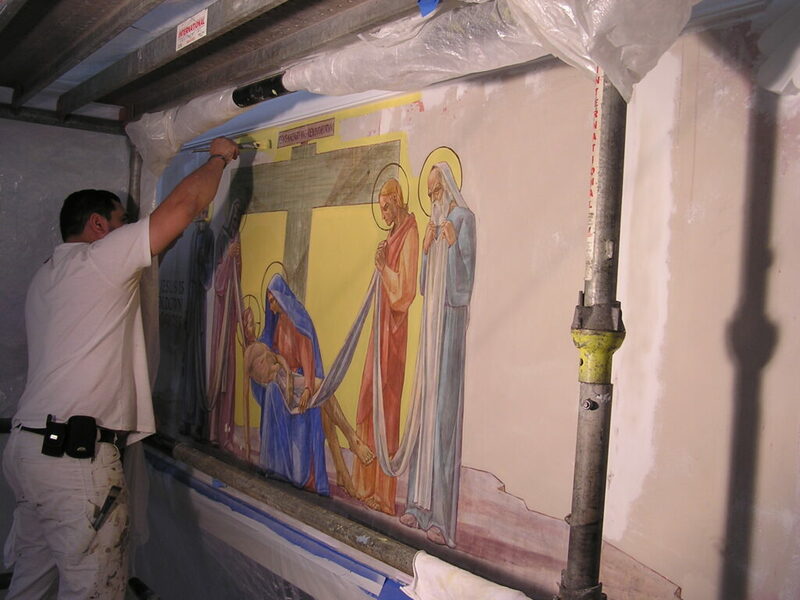 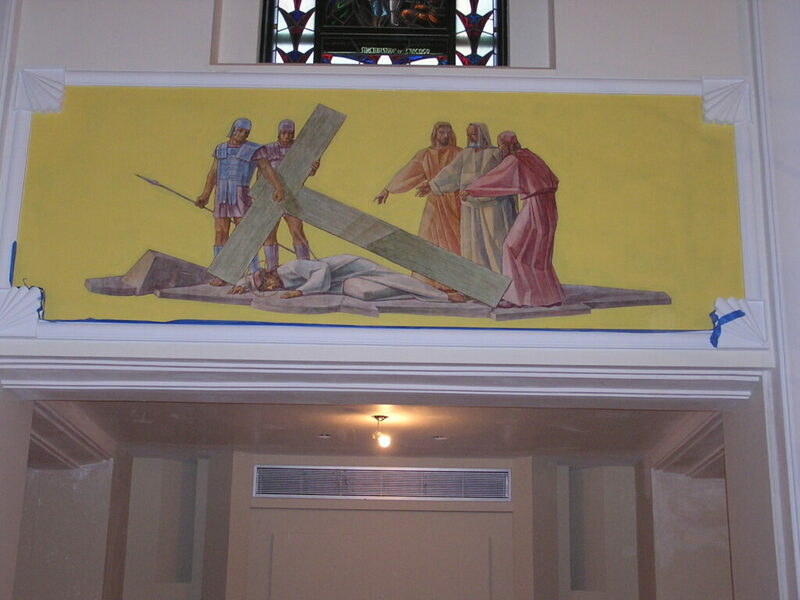 We had to clean and conserve many of the murals and iconography located throughout the Chapel. 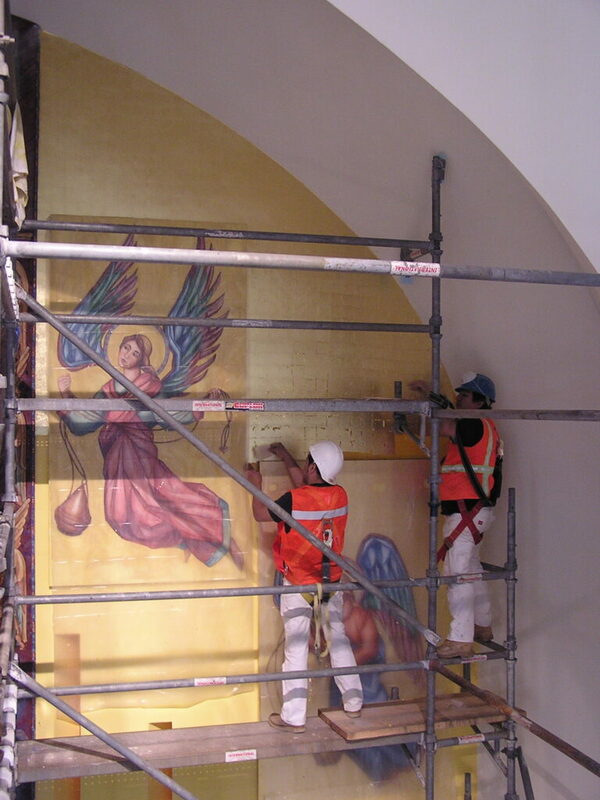 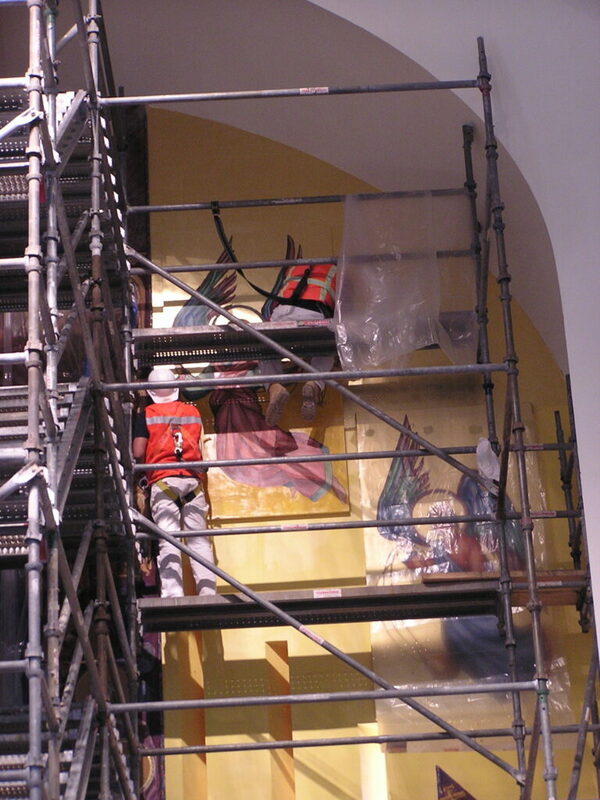 An extensive amount of gold leaf was also applied to the Sanctuary apse as well as to other areas throughout the Chapel.